The scene at last year’s Craft Brew Race in Worcester. Every Thursday night, a group called the Wormtown Milers meets at a Worcester brewery to go for a run. Wormtown Brewery managing partner David Fields sometimes sees them file in afterward, sweaty and parched, for a post-run beer. “They’re serious runners,” says Fields, who is not a runner himself. On April 30, the Wormtown Milers will be represented by a team of about a dozen runners at the Craft Brew Race in Worcester. Fields will be pouring beer afterward, at a festival featuring 30-plus breweries, the majority of them from Massachusetts. The Worcester race is part of a series of eight similar races around the country, starting in March in Savannah, Ga., and capped off on the Cape in October. “We were producing both running events and beer festivals and we kept seeing the same people show up,” says Brian Hodge, whose Gray Matter Marketing company also runs the Cape Cod Brewfest and Rhode Island Brewfest. In 2015, the races featured more than 225 craft breweries. 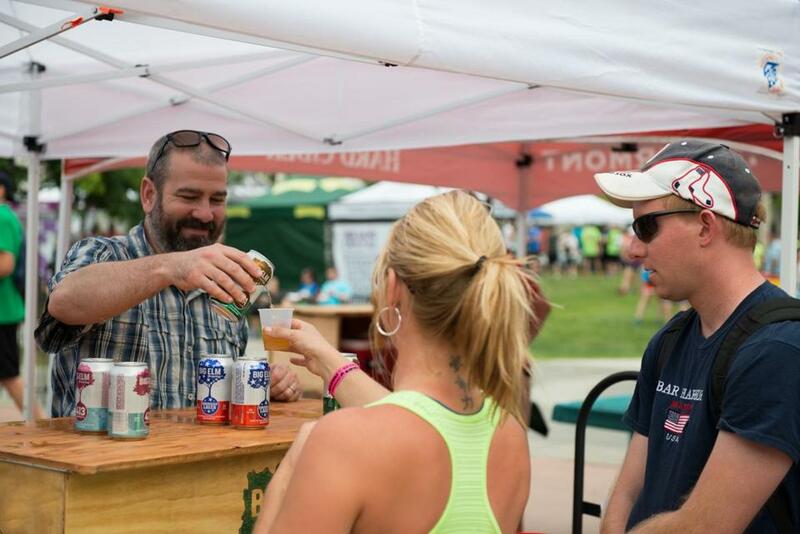 Each race starts with a 5K, then concludes with a three-hour beer festival. Heidi White ran the Worcester race last year with the Wormtown Milers; the group won awards for the largest and fastest team. While White and her Wormtown Milers crew are serious runners, Hodge stresses that the races welcome all types, from folks working on a new personal record to others who prefer to walk. “The 5K is as serious as you want to take it,” he says. Those who get to the finish faster get first crack at beers from Wormtown, Jack’s Abby Craft Lagers, Medusa Brewing Co., Fort Hill Brewery, and others (there are designated driver tickets available). Wormtown’s Fields, whose wife is running, says he gets plenty out of the race despite not lacing up his sneakers. The Worcester Craft Brew Race takes place April 30 at noon. Tickets can be purchased for that race, as well as others later this year in Stowe, Vt.; Portland, Maine; Newport; and Cape Cod, at craftbrewraces.com.